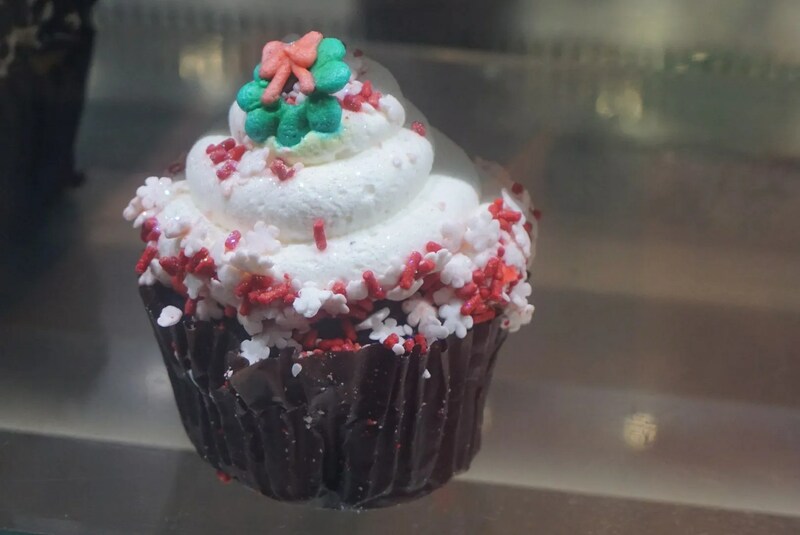 This chocolate cupcake with peppermint frosting is the same holiday cupcake they had the last time I visited Disney World in December, which was three years ago. The big difference was that this cupcake was $4.19 in December 2013. Now in December 2016 they were charging $5.59…for a 33% price increase in just 3 years! Wow!! 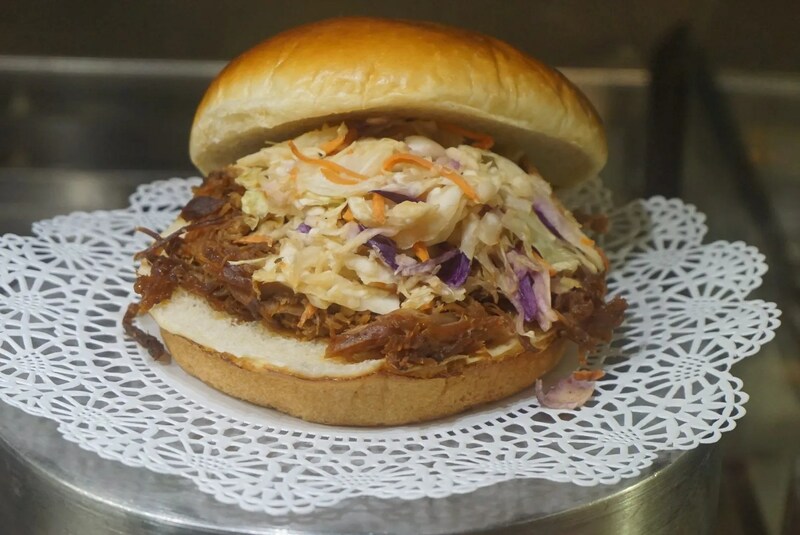 This was a Barbecue Pork Sandwich topped with cole slaw. She had this for her breakfast the next morning and again enjoyed it. She especially loves the kiwi! 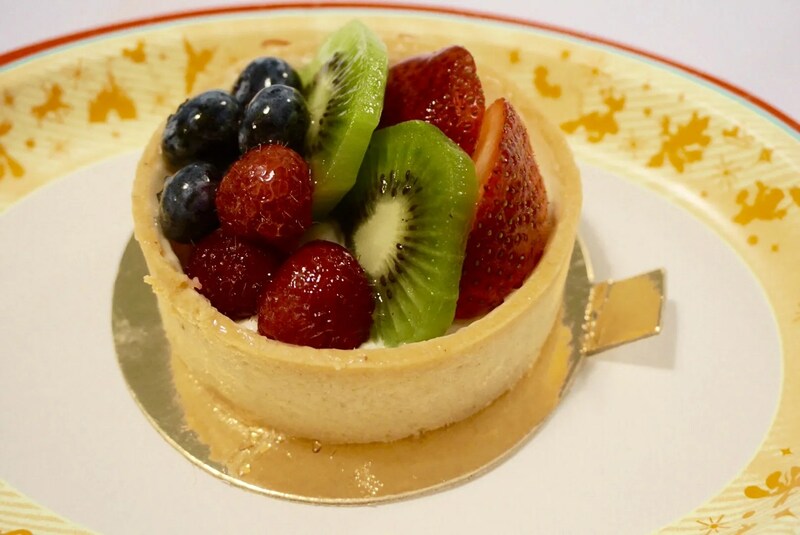 Unfortunately though the price of the fruit tart had also gone up since she last had one in December 2013. 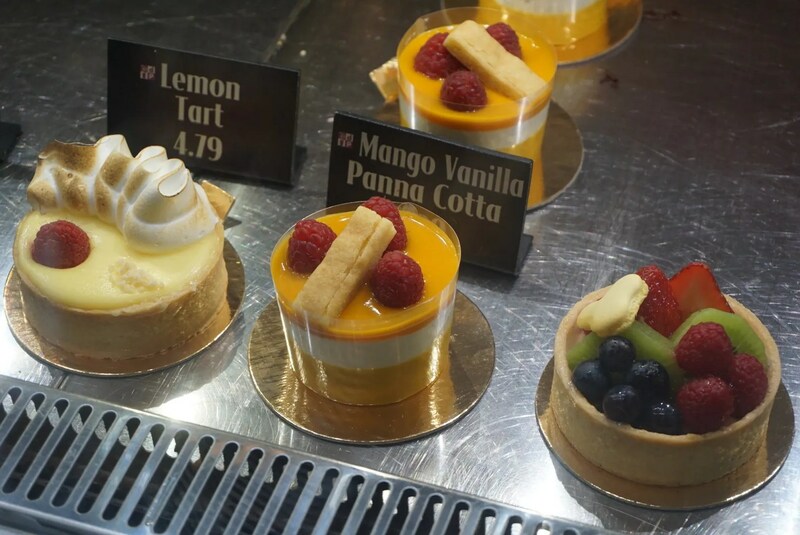 At that time it was $4.39, but now three years later they were charging $4.79, about 10% more so not nearly as bad as the cupcake price increase. 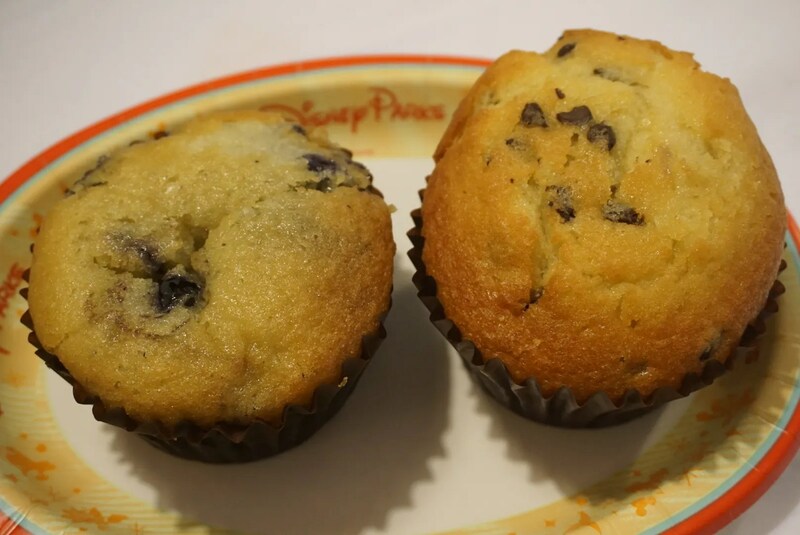 We both like the muffins here, with his choice always being the chocolate chip (on the right) and mine the blueberry. The muffins were each $3.29. Looking at the same time frame, our muffins cost $2.99 back in December 2013, so they too had seen a 10% increase. 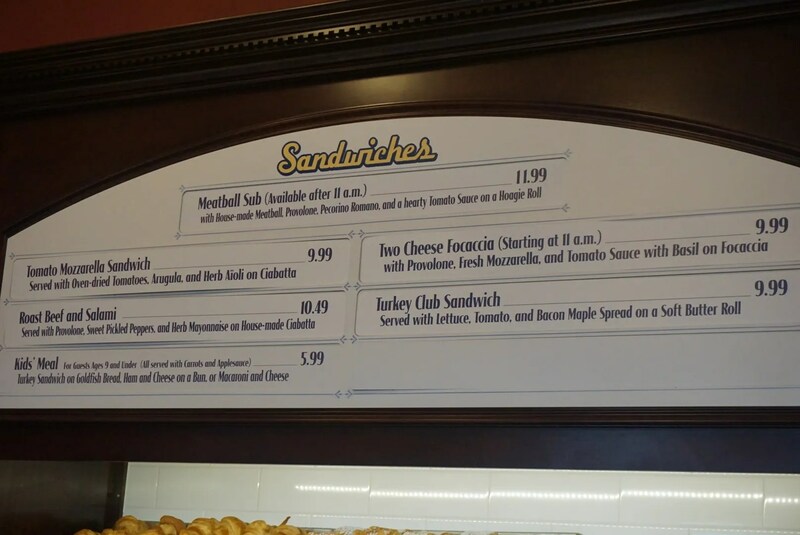 So overall, we still all enjoyed our Boardwalk Bakery breakfast favorites…I just wish they would put the brakes on their price increases. I suppose 10% in three years is to be expected though…but 33%?!? !